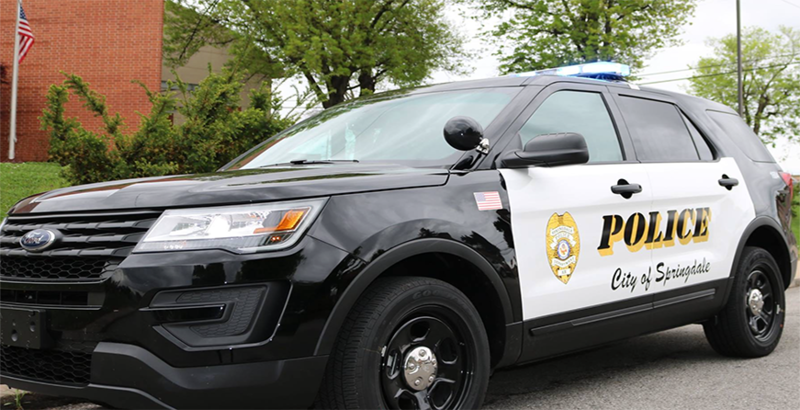 Springdale's insurer paid $225,000 to settle a federal lawsuit fired police Chief Julio Medeiros III filed against the borough last year. Of that, Medeiros is to receive more than $133,500. Half of the amount is for back pay and other pay, while the other half is for what's commonly known as pain and suffering. The rest, about $91,500, went to the law firm of Wienand & Bagin to pay Medeiros' legal fees and costs associated with the lawsuit. The money is being paid by Darwin National Assurance Co.
Springdale publicly released the general release and settlement agreement between the borough and Medeiros on Tuesday in response to a Right to Know request by the Tribune-Review. It also provided a statement on Medeiros' reinstatement to the department, which was part of the agreement. Council fired Medeiros in November 2015, alleging that a forensic audit uncovered that he had misused paid time off. They also accused him of failing to comply with council's instructions to return to work from a medical leave. Medeiros sued the borough in September, alleging breach of contract, retaliation, discrimination and violation of his constitutional rights. As part of the settlement, the lawsuit will be dismissed, and the borough denies it acted wrongfully or violated any of Medeiros' rights. In addition, Medeiros is technically reinstated to his full-time position as chief, although he will be on unpaid, administrative leave during the reinstatement. Borough Solicitor Craig Alexander has said that reinstating his status was done so Medeiros would be employable at another police department. Medeiros is not to appear at the borough building, engage in work-related activity on behalf of the borough or exercise authority as a borough police officer, manager or administrator. During his reinstatement, Medeiros would be able to seek certification or recertification as a Pennsylvania police officer, at his own cost. Immediately upon receiving the payments, Medeiros is to submit his resignation, effective no later than 60 days after receipt. The agreement called for a media release on Medeiros' service and the resolution of differences between him and the borough no later than the day he resigns. Although the borough had accused Medeiros of misusing paid time off and failing to comply with council directives to return to work from medical leave, it struck a different tone in the statement. In the statement, the borough says the relationship between borough council and Medeiros became troubled because of misunderstandings over the division of management authority between the chief, the council and the mayor. “The difficulties experienced cannot be laid at the feet of any single office, and it is regrettable that a better working relationship could not have been worked out sooner among these three branches of the borough establishment,” it says. It goes on to praise Medeiros for his law enforcement and management capabilities, and his professionalism. “We appreciate Chief Medeiros' service to our community, and are very pleased to have been able to restore him to a relationship of mutual respect in our community,” it says. Borough council approved the settlement March 13, but officials refused to disclose how much money was involved. The Tribune-Review formally requested the agreement the next day. The attorneys at Wienand & Bagin are in the business of resolving problems, not creating or perpetuating them. We believe that resolving a client's problem as quickly, inexpensively, and favorably as possible is the best way to represent a client.